- At the moment, I have to comment + exclude the the file containing any 'ads-related' line during debugging. 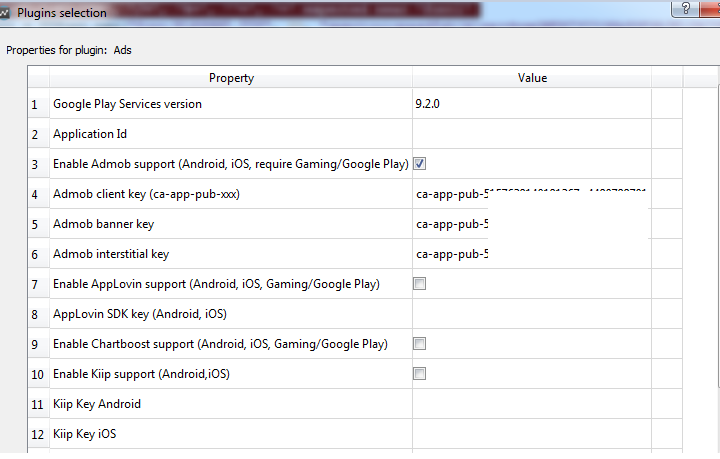 Only at the final stage (exporting APK to device), then only I remove the comment or include those ads-related file. Is that the way you normally do? Since we are able to specify in the code, so there is no need to specify in the UI right? Or if I fill in here, I could skip that at the code? 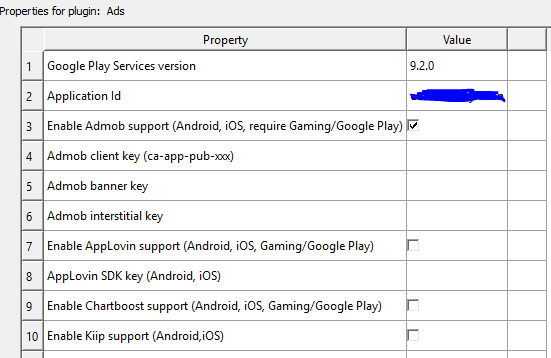 Problem 3: What are all these "Installation Android" guide for? Sorry I have no idea what is this for? So far I am able to show the ads in Lua, at which stage would I need this? Statement 4: I only need to call 'LoadAds' once right? As observed, the interstitial ads only require one time calling of 'LoadAds', after the ads is displayed and dismissed, it would be automatically 'Loaded' subsequently, such that, I just need to call 'ShowAds' later on. P.S. : Sorry I may be a little bit long-winded... I would test this myself..
My current solution is to have the following code where I use admob. So if DEBUGGING is set to true I just use blank shell functions for admob and if it is false then the actual code is used. This seems to work fine for me, maybe you could use a similar method. You can use debug mode (as from antix's post) to trigger demo ads, while you check if you need to load them at all with getdeviceinfo(). @oleg that will work but if you run that code in a player that does not have the admob plugin built in it will throw an error right?